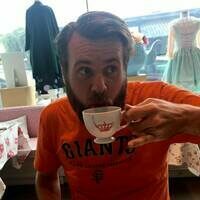 Atlas Obscura addict and devoted experience collector, I am the co-founder and CTO of San Francisco's premiere (and only) insect farming company. Always happy to connect with interesting people, so if you'd like to talk bugs, cycling, urbex, startups, art, adventure or anything else, follow me on Instagram @jamesricciofficial, or find me on Facebook at Facebook.com/james.ricci.18 . This Mississippi seminary was the first in America to train African-American priests.